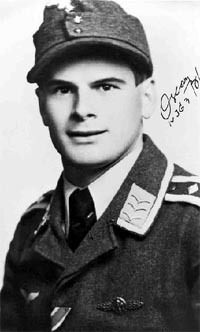 Oskar Bösch was born on 18 May 1924 at Höchst in Austria. He was a qualified glider pilot when he joined the Luftwaffe in 1943. Bösch underwent his flying training at Flugzeugführerschule A/B 118 at Stettin-Altdamm. After completing his advanced fighter pilots training with JG 101 at Nancy in France, he was posted to the Ergänzungs-Jagdgruppe West, based at Avignon, in February 1944 to await a posting to a front-line unit. Bösch was soon posted to JG 3. En route to his new posting Bösch was caught up in a bombing raid. He resolved to become a bomber destroyer and volunteered for Sturmstaffel 1, a dedicated anti-bomber unit, flying heavily armed and armoured Fw 190s, then based at Salzwedel to the west of Berlin. He joined the unit a few days before its dissolution in late April. He made his first flights in a Fw 190 on 28 April: four flights lasting a total of 60 minutes! Unteroffizier Bösch claimed his first victories on 29 April, when he claimed a USAAF B-17 four-engine bomber shot down and another Herauschuss out of a force of 578 US Eighth Air Force four-engine bombers targeting Berlin.  When Sturmstaffel 1 was absorbed into IV./JG 3, Bösch was assigned to the 11. Staffel. He continued his success against USAAF four-engine bombers. By November 1944, he had added a further five four-engine bombers to his tally to raise his victory total to seven. By Early November 1944, Bösch was serving with 14./JG 3. He added a further 11 victories with this unit, including his 10th victory on 1 January 1945 when he shot down a RAF Spitfire fighter. The balance of his victories were recorded over Russian opponents. Bösch also survived a mid-air collision with a Russian Yak fighter over Berlin in the last days of the war! Bösch survived the war and continued to make a name in gliding circles. Oskar Bösch was credited with eighteen victories. He recorded eight victories over the Eastern front, including one Il-2 Sturmovik. Of his 10 victories recorded over the Western front, eight were four-engine bombers.